new cloud access for playback and backup as well as major usability improvements Nero 2019 - the leading multimedia suite - is here to make your digital life perfect & enjoyable. Karlsruhe, September 26, 2018. Today Nero launches the latest version of its successful multimedia suite Nero Standard 2019 and Nero Platinum 2019, the powerful multimedia software for burning, copying, creating, editing, ripping, converting, playing, streaming and backing up. “Digital life is getting ever more complex with photos, videos, movies, music and data stored on a PC, smartphone, tablet, Smart TV or in the cloud. The new high-quality features and apps in Nero Platinum 2019 will boost user’s digital life with more creative fun and help them cope with their "digital chaos" easily,” says Oliver Schneider Vice President Products at Nero. Nero 2019 lets users easily merge and consolidate all of their media and data located on mobile devices, on external hard discs and storage drives, on a PC or within the cloud to one central storage location, e.g. a PC, an external hard disc or the cloud. Via DriveSpan App for iOS and Android, users can now comfortably control and trigger the consolidation of all devices connected via the same WiFi network. When the consolidation is finished all data are clean, i.e. duplicate media and data are being identified within the consolidation process and will not be copied. Nero Suite 2019 users (Platinum/Standard) have access to the complete App version with all features enabled. The free version available in the App Stores is restricted for consolidation from mobile/cloud to cloud only. Users that want to include their PC and even their Mac into the consolidation can buy this feature via In-App-Purchase for $ 9.99 each. Via the brand-new Nero Start application, users of Nero 2019 can start using their new product much more easily and achieve results even faster than before. The new user interface with completely updated design and workflows now includes animated buttons, which make the former next/previous page behavior superfluous and also integrates a last used application function. Another highlight is "1-Click Video Story", that integrates into Nero QuickStart and allows the User to create a professional looking video with simply 1 Click. Nero Start is available for all Nero Suite and standalone products and includes access to Nero KnowHow PLUS. Many Nero customers already know and utilize the Nero learning center "Nero KnowHow". So far, the app was limited to Windows 10 and mobile users (iOS/Android). Starting with Nero 2019 any user can now benefit from the brand new "Nero KnowHow PLUS" under Windows 7, 8 , and 10 as a new PC application. A unique and very comfortably integrated feature is the new "Live Guide" which simply gives context sensitive help for the application in use and for the given use case via FAQ, manual page and video tutorial. This way, utilizing the Nero Suite becomes even more easy and intuitive. Customers can also send direct feedback to Nero within the given context. Nero Video in Nero 2019 now comes with a very comfortable new feature that helps creating polished movies and slideshows in a snap. Simply drag & drop photos and videos to the drop zone in Nero Video and select “1-Click Video Story”. All files will automatically be loaded into a pre-designed video project complete with intro and outro sequence, effects, captions and matching music. Simply preview the video project, export, and share it. With Nero 2019 Nero MediaHome users can now access their OneDrive online files on demand and have the option to individually download these only when needed. This way, they can save storage capacity on their PC while having photos, videos, movies, TV Shows and music available anytime via download in Nero MediaHome, and thanks to Nero MediaBrowser even in any other Nero application. Now, Nero users can transcode non-compliant source video files to fully compatible videodisc file formats prior to importing them into videodisc projects (DVD-Video™, AVCHD, Blu-ray Disc™). After conversion, the files can be handed over to video editing or authoring projects in Nero Video. Thanks to this new pre-conversion function in Nero Recode the time needed for rendering and burning a videodisc in Nero Video can be drastically reduced by utilizing Nero SmartEncoding. Many users have a whole bunch of similar images sitting on their PC, be it due to photo editing, HDR series shots, resizing, format conversion, and more. It is so easy to get lost in one’s photo archive that has heaped up on the PC over years. This is where the brand new feature "find & remove similar images" in Nero DuplicateManager Photo comes into place. The new function finds similar images and automatically sorts it into categories of similarity types: Places, Series, Motive, Resized, Format, Other. This way, users get a fast and comfortable overview of their similar images and can easily decide which ones to delete and which ones to keep. Getting their duplicate images and similar images cleaned up, users will gain more storage space on their PCs and at the same time will have Nero MediaHome as their central media archive cleaned automatically, too. The Platinum version of Nero 2019 comes with a complete new package of high-quality movie themes and videodisc menus and additionally includes a brand new set of vertical video themes for editing, exporting and sharing a 9:16 vertical video on the smartphone. The pack also includes high-quality royalty-free music which can be used independently in any video project. The Nero LifeThemes Pro templates consist of motives suiting the best moments of everybody’s life: Cities, Landscapes, Pets, Wild Animals, and Nostalgic Themes. The new Disc-compatible profiles are also beneficial for users that want to utilize 4K source video for editing and exporting to Full HD or Blu-ray Discs™ but lack a more powerful editing system. When transcoding from 4K to Full HD before sending the video files to Nero Video, also lower performing systems will work more effectively. Now, Nero users can do their online backups with OneDrive and Google Drive cloud storage. Actually, data can also be restored online, making backing up and restoring with Nero BackItUp independent of a special location. The following apps are available for free in App Store and Google Play Store: "DriveSpan App", "Nero Streaming Player App", "WiFi+Transfer App", "Nero Receiver App", "Nero AirBurn App", "Nero KowHow App". Private users can buy a single licensed copy of Nero Standard 2019 or Nero Platinum 2019 Suite for MSRP $ 99.99 and MSRP $ 129.99 respectively online at www.nero.com or from retailers. Owners of a previous version of Nero can also upgrade at a special price. The familiar standalone solutions Nero Burning ROM ($ 49.99), Nero Video ($ 49.99), Nero MediaHome Unlimited ($ 39.99), and Nero Recode ($ 39.99) have also been enhanced with the relevant functions and can be purchased online at www.nero.com. Nero offers special volume licenses for companies, public agencies, educational institutions and non-profit organizations. These come in three versions: Nero Basic-Burning ROM 2019, Nero Premium 2019, and Nero Platinum 2019. All the mobile apps can be downloaded for free from the relevant app store. You can obtain further information and download a test version and get an overview of the complete range of products at www.nero.com. Nero creates software that helps consumers around the world to enjoy their videos, photos and music simply. 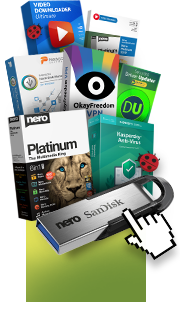 Nero produces widely used multimedia software, which contains powerful applications for media management, media streaming, video playback, video editing, video converting, content syncing and disc burning. Nero is headquartered in Karlsruhe, Germany, has offices in Glendale, CA (USA), Yokohama (Japan) and Hangzhou (China). Nero and its product names are trademarks or registered trademarks of Nero AG. Other product and brand names may be trademarks or registered trademarks of their respective owners and do not imply affiliation with, sponsorship or endorsement by owners. © 2018 Nero AG. All rights reserved. Microsoft, Windows and OneDrive are trademarks or registered trademarks of Microsoft Corporation in the United States and other countries. Android, Google Play and Google Drive are trademarks or registered trademarks of Google, Inc. iOS and Mac are trademarks of Apple, Inc. in the United States and other Countries.